Every month the Society posts a meditation video with reflection questions that help us build the Holy Child community of prayer. Watch our meditations and then share your thoughts, reactions, and feelings by commenting. You can also share our meditations with your family and friends. 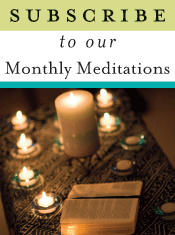 Follow this link for all other previous monthly meditations.